League of Legends patches are normally relatively minor incremental things at this point—tweaking an item or two, rebalancing a handful of characters, maybe dropping a few new skins in. Not this week. Riot’s 5.16 patch notes make it sound like a patch on steroids. Here’s a quick rundown of my own. As I previously reported, four different melee fighters in League are being reworked in an attempt to liven up their gameplay mechanics and make each of them feel unique and distinctive in their own special way. These changes to Garen, Darius, Skarner, and Mordekaiser were already live in League’s public beta, but now they’re stepping into the main game. Fans have been wary about some of the tweaks, many expressing particular concern with Mordekaiser’s rework. I suspect this won’t be the last time we hear from Riot about the new juggernauts. You can read about the changes in more detail in my original post. Three new items are being added. 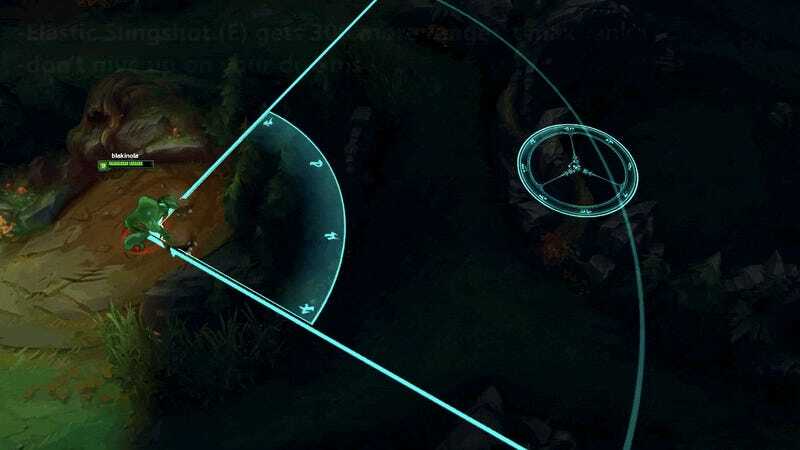 Alongside the juggernauts, 5.16 is adding four brand new in-game items, allegedly intended as “juggernaut itemization” tools. Saying that an item is only meant for one specific type of champion doesn’t usually work out well once League players get their hands on it, though—see Runeglaive Ezreal for a particularly famous example. So let’s just take a look at these new bad boys. UNIQUE Passive - Dreadnought: You buildMomentum stacks while moving up to 100, granting up to 60 bonus Movement Speed. Momentum rapidly decays while under immobilizing crowd control effects, and decays slowly while slowed. UNIQUE Passive - Crushing Blow: Basic attacks discharge all Momentum, dealing 1 bonus physical damage for every 2 Momentum. If 100 stacks are discharged, the damage is doubled; if this attack is Melee, the target will also be slowed for 75% (decaying over 1 second). Primal Rage causes your champion to gain increased Size, +25% additional Base Attack Damage, and a rapidly decaying shield for 30% of your maximum Health. UNIQUE Passive - Cleave: Basic attacks deal 5 + 1% of your maximum health to your primary target and 40 +2.5% of your maximum health as physical damage to enemies in a cone on-hit (your primary target does not take this damage). UNIQUE Active - Crescent: Cleave’s damage to all targets is increased to 40 + 10% of your maximum health as bonus physical damage in a larger cone for your next basic attack (20 second cooldown). Yeesh. These all sound like they’re going to pack a serious punch. A bunch of defensive items are being nerfed. The patch is also making a number of defensive items, namely magic resist items like Null-Magic Mantle and Spectre’s Cowl, a tad cheaper—likely to help counteract some of the effects of nerfing big-ticket armor items. A whole lot of champions are being buffed (and some are being nerfed too). Alistar, Bard, and Thresh are all receiving similar boosts to their health growth as well. There are a number of more robust character buffs than these small health and armor growth boosts, too. The popular but also very-hard-to-play-well blind monk warrior Lee Sin, for instance, now returns more energy than he already did when attacking bad guys thanks to a buff for his passive ability “flurry.” His super-powered kick “Dragon’s Rage” also deals an extra bit of damage based on a percentage (15, 18, then 21% as you level it up) of the target’s health. LeBlanc’s missile speed for her W and R is faster. Lissandra can now heal herself with her R.
Rammus deals more damage with his W.
Teemo’s mushrooms reveal enemies that are poisoned by them (for the duration of the poison). Twitch’s Q costs less mana and his R does more damage late-game. Tahm Kench now stuns enemies after swallowing them and spitting them back out. Rumble’s R has a shorter cooldown. I should point out that there are also some minor nerfs in store for other champs. It wouldn’t be a League of Legends patch if there weren’t any nerfs! Ahri’s passive heals for less. Elise’s Q deals less percentage-based damage. Kayle deals 5 less base attack damage. He even has a friggin’ cartridge on his back! Awsome. Ah, League of Legends patches. Riot always knows how to offer up cool-looking champion skins as a chaser to the brutal shot players have to swallow whenever they see their favorite character is being nerfed or changed somehow. There’s so much information to process in the 5.16 patch that I’d be lying if I tried to tell you that I knew what effect the update is going to have on the game once it goes live tomorrow. What’s particularly crazy is that Riot’s adding all these changes into the game with the World Championships barely two months away. Good luck adapting to all these changes in time, League of Legends pros. And remember to have fun, too! Screenshots via Surrender at 20. Lead GIF via the League of Legends arcade login screen.